Evan Rachel Woods is single and ready to mingle but she has her eye set on more than men. The Mildred Pierce star tells Esquire magazine, she would be happy settling down with a woman if the right one came along. Although Woods has publicly dated men and was briefly engaged to shock-rocker Marilyn Manson, she revealed that she has dated women in the past and that when in relationships with women, she’s the dominant one who opens doors and buys dinner. A romantic kayak ride turned super scary for The Bachelorette’s Ali Fedotowsky on Sunday when her kayak capsized and she ended up in the hospital. The reality TV star was with her fiancé Roberto Martinez when the mishap happened. Ali was rushed to the hospital and had five staples put in her head. She is now fine and the couple is back to planning their wedding. 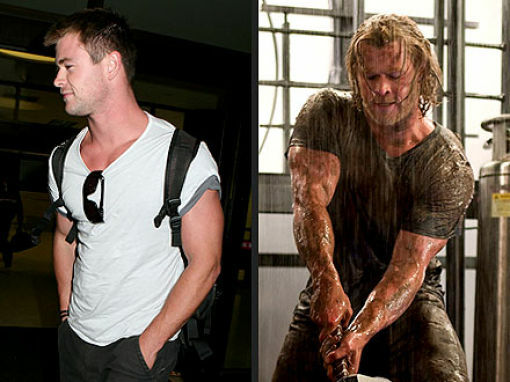 Australian actor Chris Hemsworth is on track to becoming a huge star in America thanks to his role in the movie Thor but gaining 20 pounds to play the lead in the movie was not as much fun as you would expect. Hemsworth tells Men’s Health in its May issue that the key to his weight gain was non-stop food consumption and weight lifting. The actor, who had never lifted weights until he filmed the action flick, says he found eating tons of food especially when he was not hungry very exhausting. Thor opens in theaters on May 6. She owns over 200 pairs of sunglasses – not because she is vain or spoiled but because she needs them for research. The socialite designs sunglasses as part of her House of Harlow 1960 accessories line and owns every pair of glasses she has ever designed. She claims her sunglasses collection grew out of hand because of research-shopping. Richie also likened sunglasses to fun masks that accessorize one’s face adding that she uses them to hide the fact that she does not wear make-up. 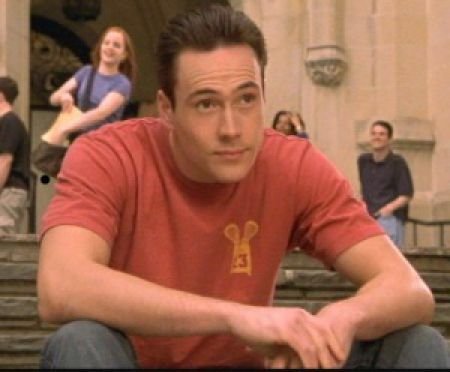 Chris Klein is such a huge fan of American Pie; he is back for some more. The actor will reprise his role as Chris “Oz” Ostreicher in the upcoming film American Reunion. Klein, who completed a 30-day alcohol addiction program last summer, joins fellow American Pie alums Jason Biggs, Seann William Scott, Eugene Levy and Alyson Hannigan. Filming of the new installment in the franchise begins May 24. 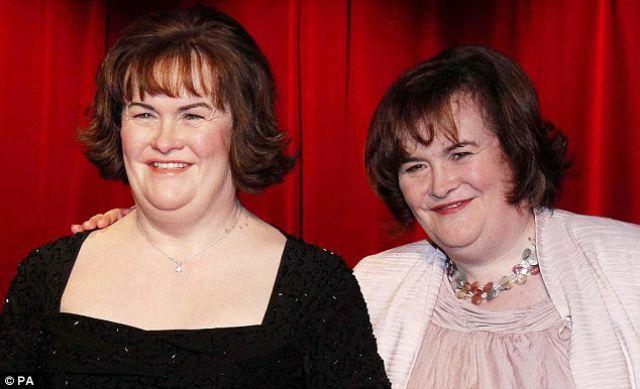 Susan Boyle fans were seeing double yesterday when the star unveiled her likeness at Madame Tussaud’s. The wax model dons an elegant black outfit donated by the Scottish singer. It’s the same outfit she wore in the video for her cover of The Rolling Stones’ Wild Horses. The 50-year old star joked that the only person she would choose to stand next to her waxwork is Simon Cowell. Boyle’s wax model is on display at the new Blackpool branch of Madame Tussauds which opens to the public on Thursday in the Lancashire resort.